Less than 8 hours from now, the crucial final round of the 19th Grand Asian Chess Challenge will begin. 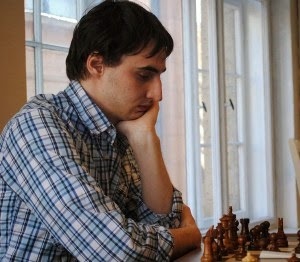 At first, GiLoCatur thought that the champion will be the top seed, Latvian International Master, Vitalijs Samolins. GiLoCatur was wrong. The championship is still open. But ofcourse, IM Vitalijs has the advantage for leading with one point. The third seed, FM Bastien Dubessay, can spoil the former's dream. If FM Bastien wins as well as MG Gahan, three players will have the same 7.5/9 points. But GiLoCatur believes FM Bastien will be declared the champion due to "Direct Encounter" Tie Break. IM Vitalijs just need a draw to emerge as the individual champion. Only six (6) Malaysian players in the Top 20 Ranking after Round 8. 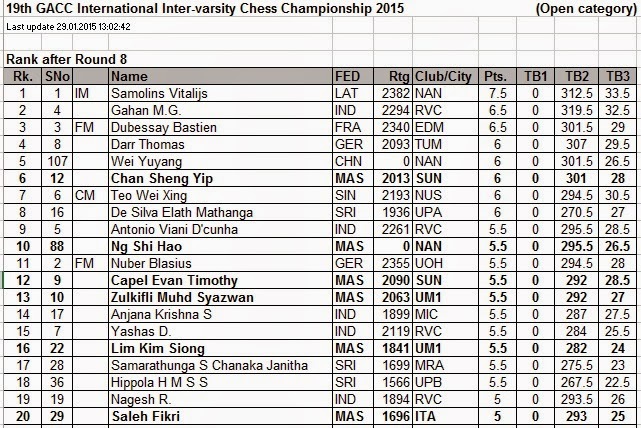 Chan Sheng Yip, former MSSS player, of Sunway Iniversity is at the 6th place with 6/8 points. Let's wait until the final round is over to know who the winners will be. The GACC is on its fourth day having just completed seven rounds. Two more rounds more to go. So, who is leading right now? An Indian player named MG Gahan is leading the pack up to the sixth rounds. He represents RV Engineering College. He scores 5.5/6 points. Second in the rank is Latvian International Master (IM) Vitalijs Samolins. He also has 5.5/6 points. 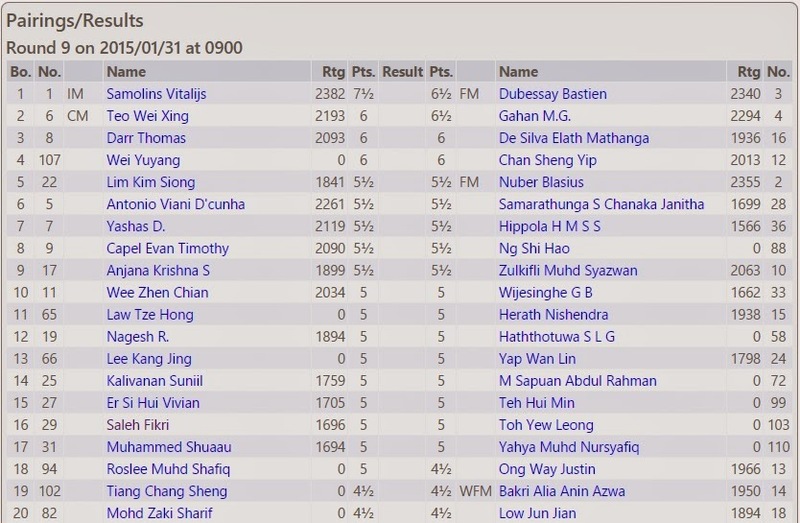 The 2012 Latvian National chess champion is playing for Nanyang Technological University. 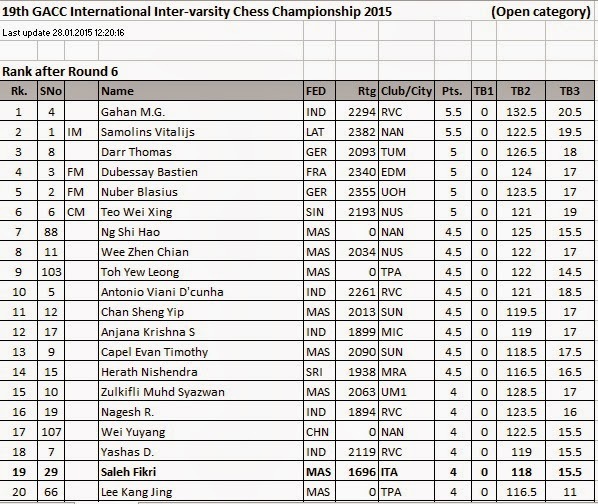 The top Malaysian in the ranking is Ng Shi Hao at 7th placing with 4.5/6 points. He is currently studying in the same university with IM Vitalijs. Can either MG Gahan or IM Vitalijs stay strong in the top and become the champion? Or can the Fide Masters, Blasius Nuber and Bastien Dubessay, crash the top two leaders dream? 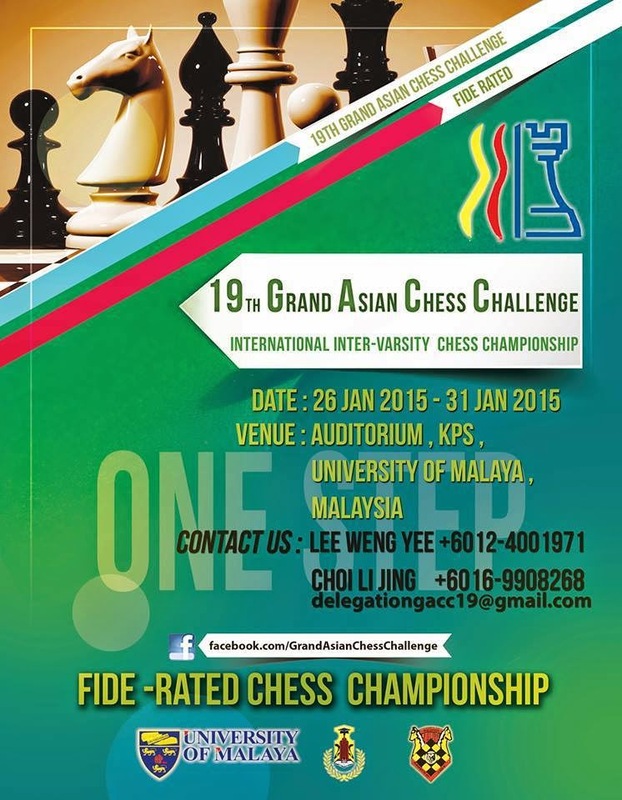 The 19th Grand Asian Chess Challenge (GACC) or International Inter-Varsity Chess Championship kicks off today. Not like last year where men and women are in different categories, this year both men and women participants will be playing together in one main event which is the Open category. For those who like to come to see the action, the venue of the tournament is Tunku Bahiyah College of Universiti Malaya. 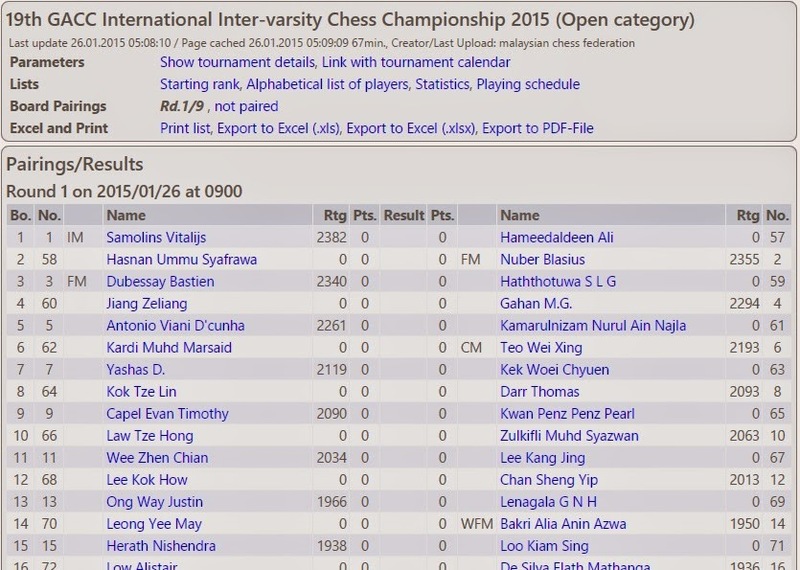 Based on the chess-results.com Starting List, there are 113 chess players take part in the chess tournament. But two players are not paired in the first round. For the full Round 1 pairings, click here. Good Luck and All the Best to all participants, especially Fikri Saleh. 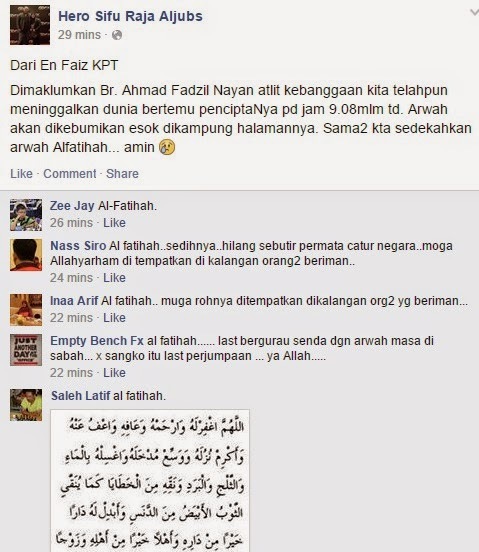 At 9.08 PM today (exactly an hour ago), the Malaysian chess community lost one of its member. 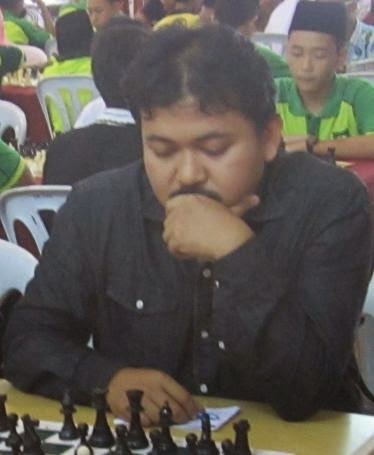 The chess player is Ahmad Fadzil Nayan. Below are the pictures of Allahyarham Fadzil in the Malaysian chess scene. GiLoCatur's deepest condolence to Allahyarham Fadzil's family. Al-Fatihah. 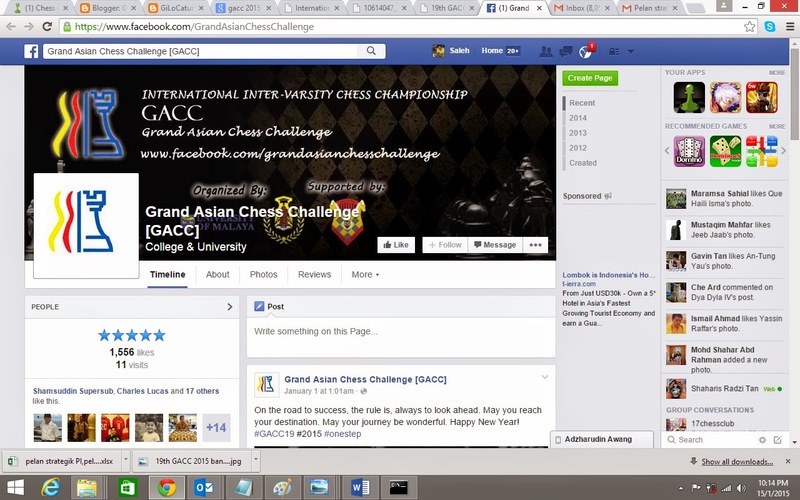 2015 - The Gloomy Era of Malaysian Chess Blogging? Wow! It has been quite sometime that GiLoCatur has not blogged. It is the middle of the first month of year 2015 already. What happens GiLoCatur? 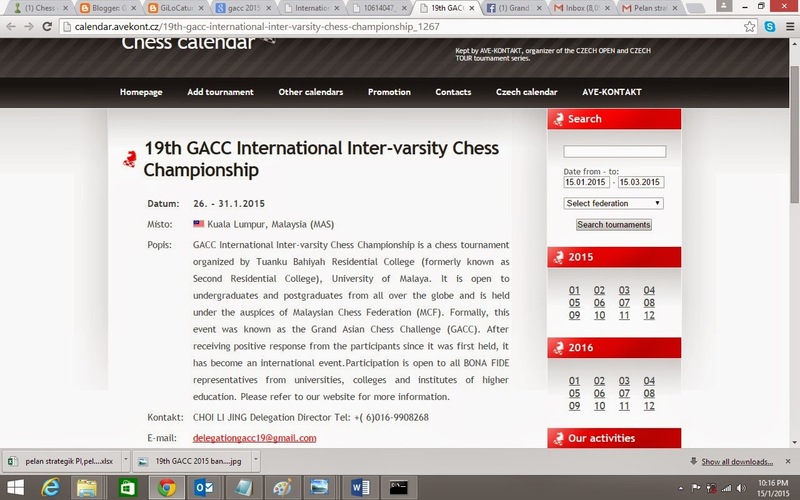 Just now, GiLoCatur wanted to access the Malaysian chess one-stop blog - catur.org. Unfortunately, the following error message has popped up. what you'll get when accessing the Malaysian one-stop blog. GiLoCatur just remembered that Gilachess wants to quit chess blogging. GiLoCatur thought it is just a bluff. Wrong! It is the truth indeed. 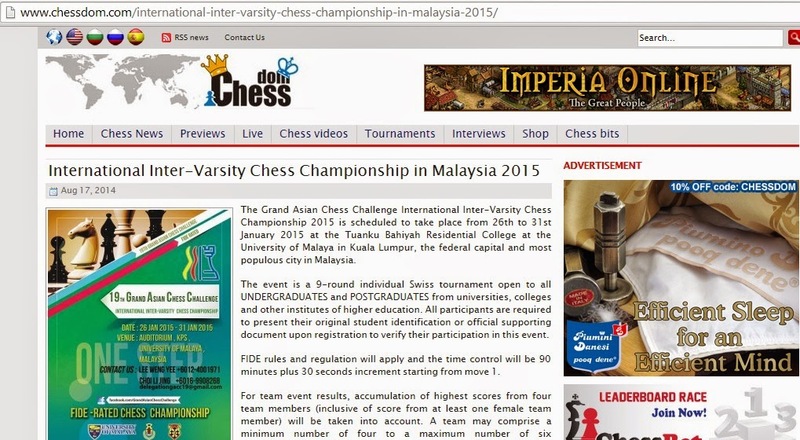 What the year 2015 would be for Malaysian chess blogging?